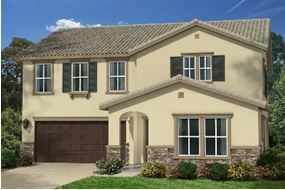 In February, Audie Murphy Ranch will welcome its newest neighborhood, Silvercreek by KB Homes. This new collection will introduce one and two-story single-family home designs with up to six bedrooms and three bathrooms. Four distinctive floorplans will offer spacious interiors including an open loft and private office space available in select plans. To learn more about these new homes coming soon to Menifee, check out Silvercreek at Audie Murphy Ranch. Head over to Temecula City Hall Friday, Saturday and Sunday evening for Snowbell Rockin’ Nights and listen to your favorite holiday carols ring from City Hall’s bells. Gather your family and friends and take the short drive from Audie Murphy Ranch in Menifee and enjoy the sounds of the bells synchronized to lights and music at 7 p.m. The event is free to attend. For more details check out Temecula Valley Events.